1. When did you start painting and designing? I've been drawing since a very young age, coming from a family of artists, my grandparents and uncle, I've grown up around their skills and they have taught me so much. Though I only realized my passion for painting after completing my degree in Graphic Design, and feeling like I wanted to do more with my hands rather than in front of a computer. 2. What is your favorite medium? I use acrylic paints very regularly, though I am very interested in trying my hand at oil paints soon! 3. Could you walk us through your process of creating a piece of work? With any kind of work, you need to find inspiration first. I draw a lot from things I see in nature, and my own emotions, and I'm also influenced by other artists I follow online, where I try to see if I could push myself to do something of similar standard to what I see them doing. I first make a draft of my ideas on photoshop, or a sketch on paper. Then roughly draw an outline on the wall/canvas and start painting. 4. What inspired you to begin working in this field? Art is a way of expressing myself, and I feel like I can connect with a paintbrush or pencil, through which i can connect with people. 5. 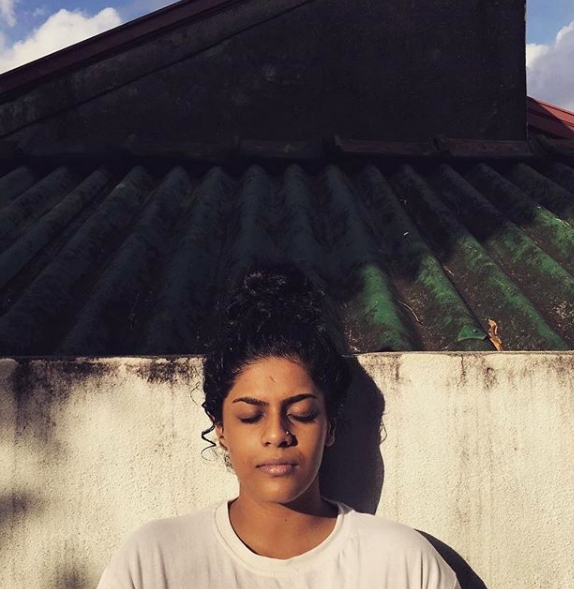 In your experience, what is is it like to be a visual artist in Sri Lanka? I feel like theres two sides to it, one being that since Colombo has a small close knit art-community, it is fairly easy for your work to be seen or heard, but at the same time, I feel that this limits potential. 6. What are some of your favorite works you have done? I can't really say which one is my favourite. But the very first mural I ever did, for Cinnamon Red, was very memorable, as well as painting the 30ft mural for MAS. I have a continuing comic series, called the Space Motel, which I put a lot of myself into, that I enjoy doing. 7. What next for you? Honestly I have no idea, I was never very good at planning ahead, but hopefully I'd love to transition into doing more serious paintings full time, kind of re-evaluate my style and experiment more. A nomadic creative agency that specialize in affordable Branding, Design, Squarespace websites and Social Media content creation.